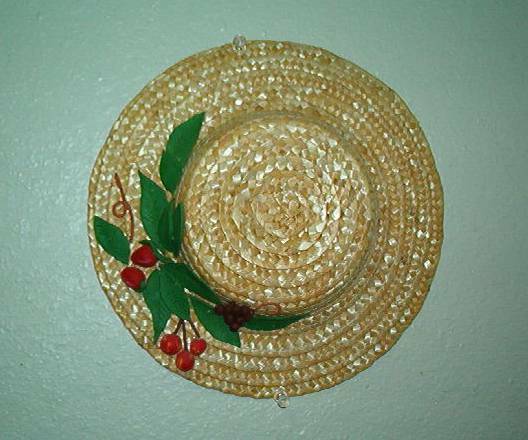 All are handcrafted and handpainted wall hangings. 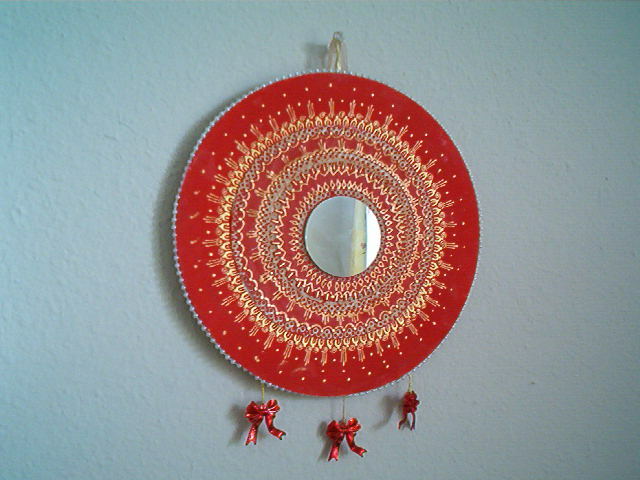 This beautiful golden and copper design on nice red round wall hanging will give your wall different Asian look. 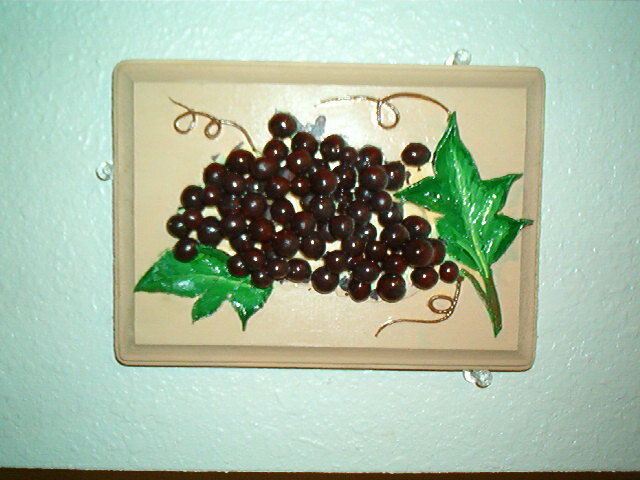 Black Grapes clay design on wooden piece will make your kitchen area more attractive. 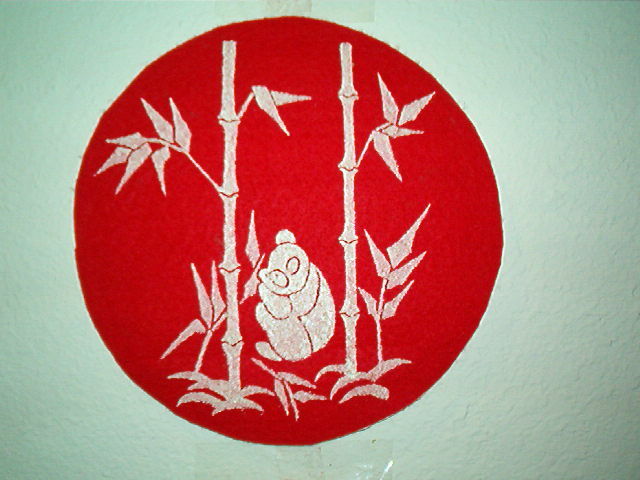 Panda painted by Metallic Gold color on red velvet cloth in the round shape. This Clay work is made on the cane cap. It gives different look to your door or piller or any small part of wall.